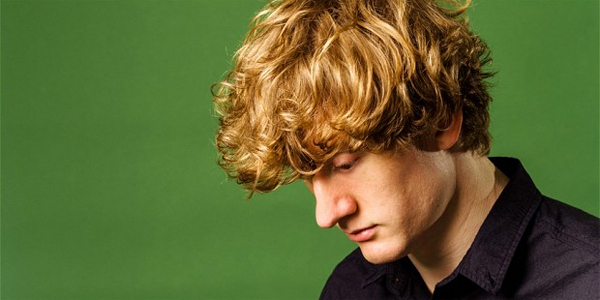 James Acaster has been one of your favourite comics ever since we saw him as part of late-night mixed bills at the Edinburgh Fringe. He’s developed into one of the greatest comedians in the country, winning huge acclaim for his consistently brilliant Edinburgh Fringe shows, three of which have been nominated for the main award. He’s now taking his latest shot Recognise – where James admits that he is actually an undercover cop who has infiltrated the comedy world – to the Soho Theatre for a run that is well on its way to selling out. Be quick and get your ticket now. Or wait until you’ve read our interview below. Hi James. How are you today? I’m knackered, mate (we can only presume today has been another day full of scrapes for James – Ed). You’re about to begin a run of your show at the Soho Theatre. How are you feeling? This show saw you receive your third Best Show nomination at the Edinburgh Fringe. Are you hoping for four in a row? Jeez, it’s October! Let a guy recover, have mercy fellas! All I am hoping for is that I can write a show I’m proud of. That is all we should ever hope for. You’ve also taken this show to New Zealand and Australia. Any other countries you’d like to take it to? All of them. Free holidays!!!! The show is built on a very specific premise. Do you have plans to do more shows that adhere to a certain concept? You regularly discuss your ‘classic scrapes’ on Josh Widdicombe’s radio show. Can you please compile a book of these as they are wonderful? Okay man, I’ll compile a book. Chronological Scrapes. Good as done. You have a Radio 4 show coming out soon. What can we expect? I will present my findings on Wood, Fruit, Wheels and Paint. Hard hitting stuff. No let up. Your pilot about bread was fascinating. How did your views about bread change during your research? I loved it before I researched it and I loved it even harder afterwards. So much depth.